The robot invasion of the food and beverage industry is well underway from bots making pizza and ice cream to android waiters delivering your food. The next target seems to be your daily coffee. 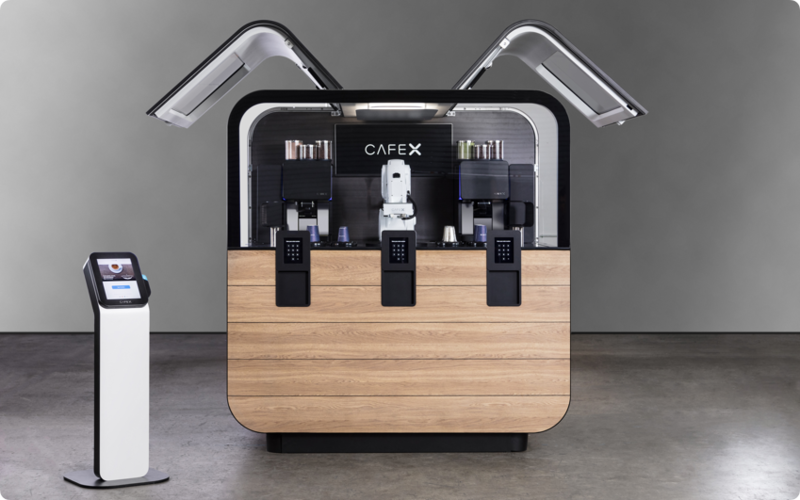 San Francisco’s Café X is a robotic coffee shop that hopes to revolutionize and speed up the coffee process by employing an army of robots. It’s not really an army, more of an assembly line that quickly puts together your coffee. We emphasize quickly as they make your drink in under 30 seconds. No need to worry about getting the coffee exactly how you asked, the robotic precision gets your order right every time. The process is pretty simple. You place an order in the app or at a nearby kiosk. 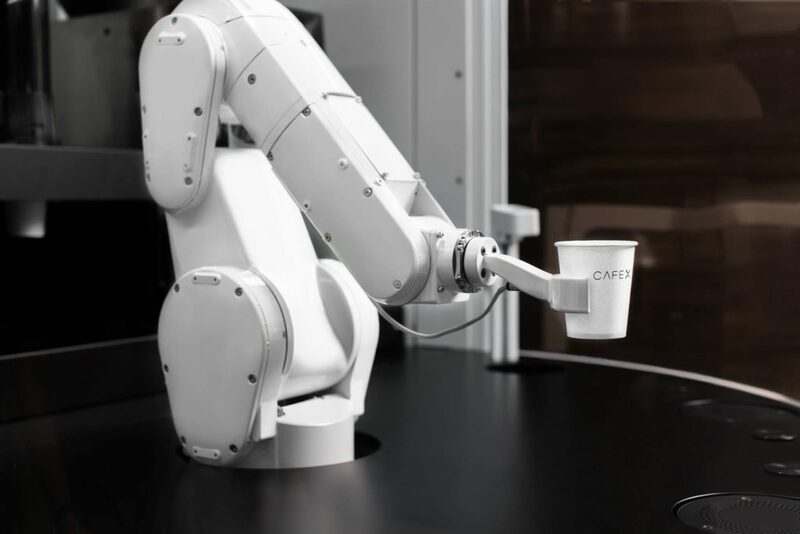 A signal is given and the robotic arms get to work on your coffee. Once the drink is ready, you receive a text with a four-digit code. Simply enter the code into the touchscreen on the machine and the robotic arm lowers your coffee into the vending compartment. The robot will even give you a friendly wave once your order is complete. If you need help or have a special order, Café X has human specialists standing by. The company doesn’t believe that the robots are replacing humans but freeing them up to have more meaningful interactions with customers. For some orders, the human can start the drink then program the robot to finish it. The robots can handle multiple sizes and make 10 different types of coffee drinks including cold brew. According to Café X, their robots are pretty customizable which should help them in expanding their menu in the future. 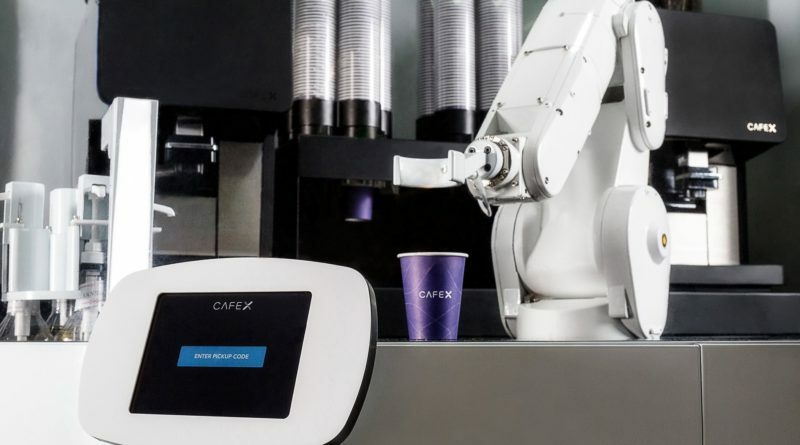 Café X isn’t just about the robots as they take pride in the quality of their coffee. They use local roasters and have a variety of organic milk options. You would assume this hi-tech San Francisco coffee would be pretty expensive. 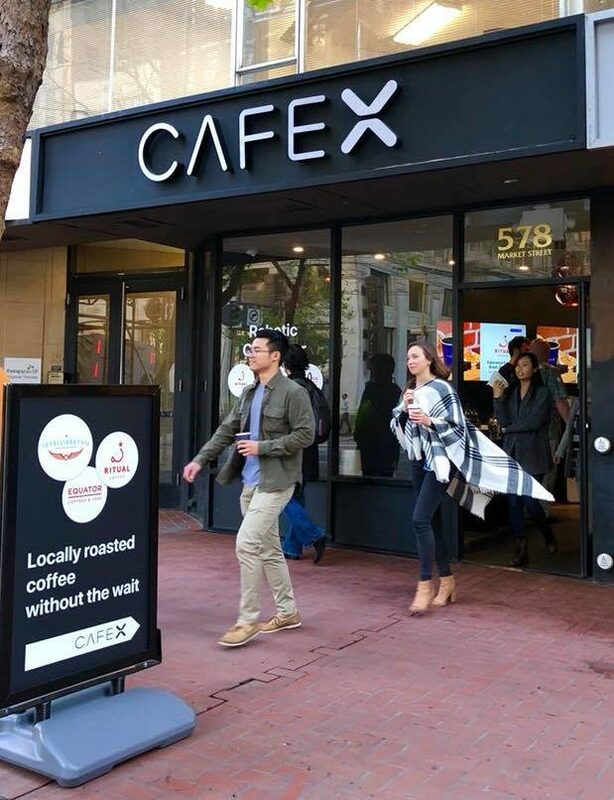 Café X’s menu is reasonably priced as cappuccinos, lattes, and drip coffee, are all priced around $3. Robots Making Coffee on the Sidewalk? 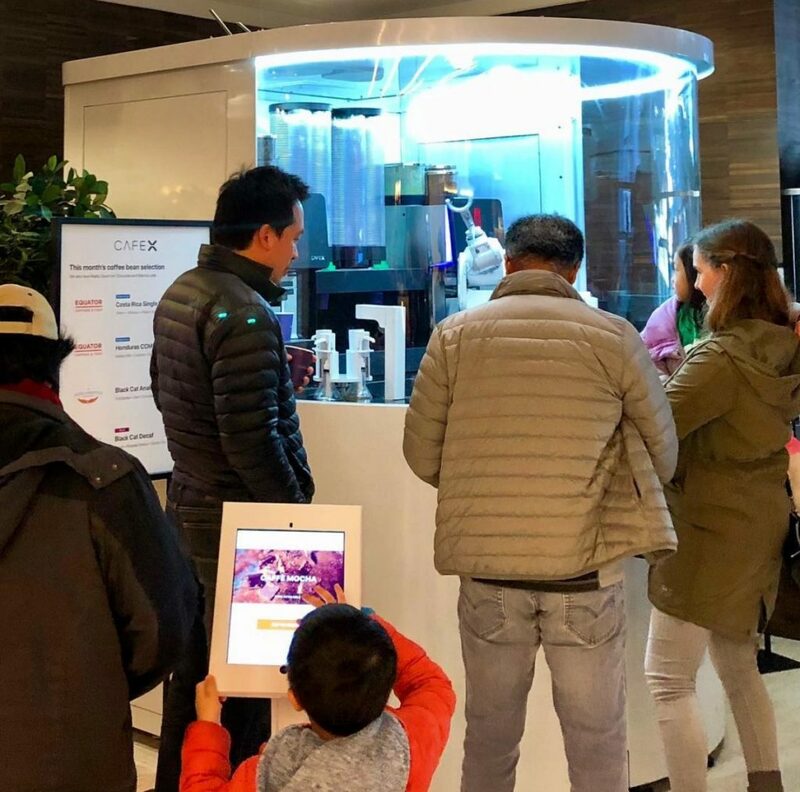 Along with it’s two robotic coffee shops in San Francisco, the company has recently has introduced a stand-alone kiosk on the sidewalk in the Financial District. There will be a human with the kiosk in case help is needed with the ordering process. With interest growing, the company hopes to place more kiosks in high traffic areas like airports and office buildings.